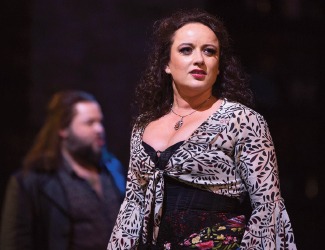 Clémentine Margaine stars as opera’s ultimate seductress, opposite superstar Roberto Alagna as the passionate solider held in the throes of Carmen’s cruel magnetism. Louis Langrée conducts Sir Richard Eyre’s thrilling production, a favourite in the Met’s repertoire and one of the most popular operas of all time. In cinemas 4 May for a limited time only. Win a double pass to a screening of The Met Opera: Carmen. Enter using promo METOPERA. Competition closes Sunday 7 April. Celeste was once Australia’s most beloved opera singer. Yet she threw it all away to follow the man she loved to a crumbling property deep in the rainforests of Tropical North Queensland. Ten years after his tragic death, Celeste is ready to make one final return to the stage. But her stepson Jack, still haunted by the past, arrives at her behest amidst the preparations and finds Celeste is as he remembered – beautiful, intoxicating and dangerous. In cinemas nationally from 25 April. Win a double pass to a screening of Celeste. Enter using promo CELESTE. Competition closes Sunday 7 April. This is an unmissable performance featuring music by Handel, Purcell & Dowland featuring sensational soprano Jane Sheldon. Win a double pass* to English Baroque with Cicra. Enter using promo BAROQUE. Competition closes Sunday 7 April. In cinemas nationally from 9 May. 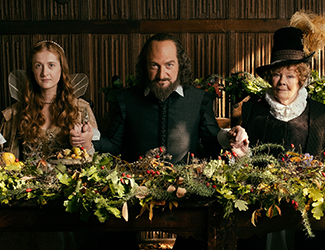 Win an in season double pass to a screening of All Is True, starring Kenneth Branagh, Dame Judi Dench and Sir Ian McKellen. Enter using promo SHAKESPEARE. Competition closes Sunday 7 April. 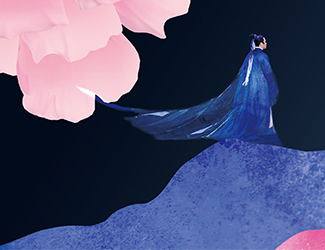 This original opera in concert explores the works of Tang Xianzu, China's greatest playwright. Over 100 talented musicians from the Symphony Orchestra and Opera of Shanghai Conservatory of Music will make their Australian debut. Known as the Shakespeare of the East, Tang is most famous for the Four Dreams – four works originally adapted to be performed as traditional Chinese operas. Save 20% off tickets with promo AUOPERA. Returning from 29 April—5 May, the 2019 Sydney Writers' Festival brings together some of the world's leading literary luminaries and public intellectuals to reflect on this year's theme, Lie to Me. Joining the line-up is bestselling author and television presenter Simon Schama, who will discuss his newest essay collection, Wordy, with David Marr. 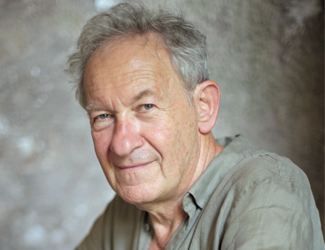 Win a double pass to Simon Schama – Wordy. Enter using promo WORDY. Competition closes Sunday 7 April. Artists and audiences collide this July at Sydney’s newest international festival, Sydney Cabaret. Experience show-stopping performances that push boundaries, celebrate diversity and leave you just wanting more! Escape the everyday and embrace the night at Sydney Cabaret. Save 10% off Premium and A Reserve tickets for two of the headline acts, Jennifer Holliday and Cheeky Cabaret with promo OPERA. *One winner will be drawn for each listed city the Australian Brandenburg Orchestra will be perfomring English Baroque with Circa. Double pass valid in Sydney for Friday 10 May and Melbourne for Saturday 18 May.